The ideal solution for flight simmers with a lot of data to back up, or for owners of large areas of MegaSceneryEarth photoreal areas. 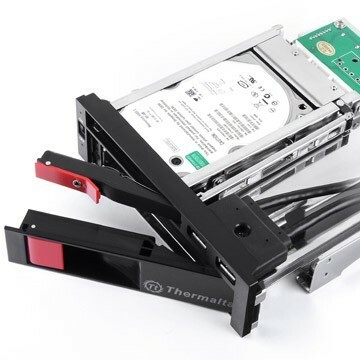 This SATA III disk drive rack fixes into any spare 5.25" bay in your PC's case. 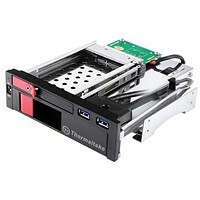 Once connected with the included power cable and SATA data cable to your PC, the Max 5 Duo offers hot-swapping of internal 2.5" and 3.5" disk drives. 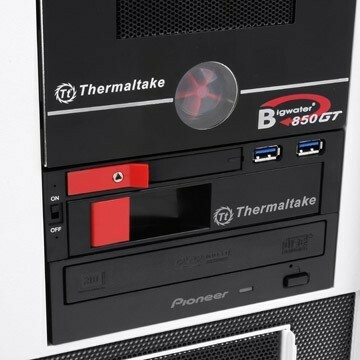 No need to fix or hardwire these internal drives into your case ever again. With the Max 5 Duo HDD Rack, just push in your hard drive and you will have ready access to the files and backed up data on that drive. 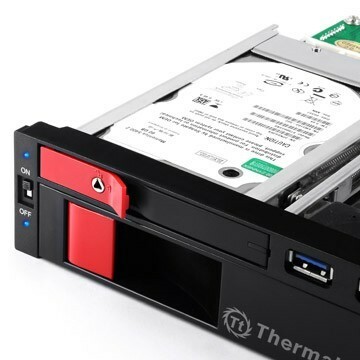 You can save money by buying cheaper and usually more reliable internal hard disk drives over more expensive external USB drives, plus, benefit from the full SATA III speed that the Max 5 Duo rack offers. Don't be speed limited by USB 3.0 or USB 2.0 transfer speeds you get with your external hard disk enclosures. We have the Max 5 Duo SATA III Hard Drive Racks in stock here in Brisbane at the PC Aviator Australia Office. Enjoy rapid dispatch and full local warranty. Solve your critical data backup and access needs, and save money in the process. Recovery of files from multiple drive sources after PC crashes.